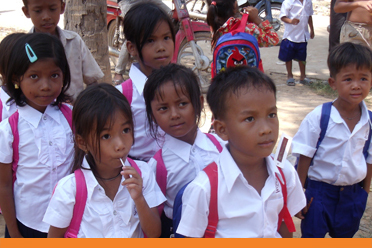 Children everywhere deserve the chance to go to school and receive an education. 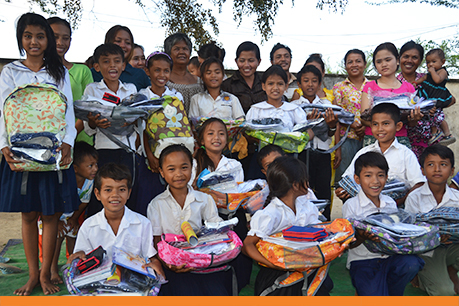 We are committed to assisting children from vulnerable Cambodian families to receive an education. 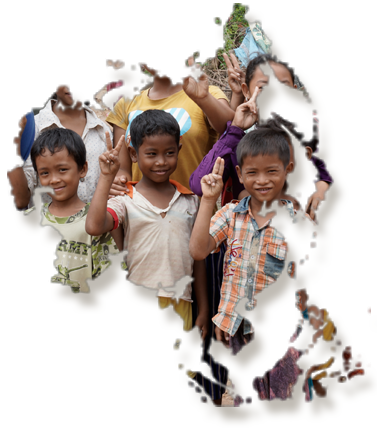 We provide families and teachers with tools and resources such as school uniforms, study materials, and raise awareness of parenting and child rights. Sponsor a child to go to school – your support of $40 a month enables a child to go to school, and provides training and support to the family and the community. It also helps build the capacity of the teachers and village leaders as well. 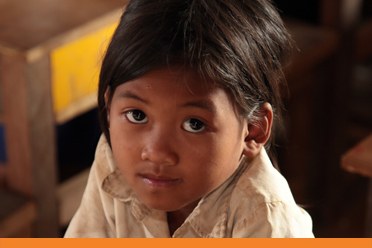 Success Story: Rachhan, 9 years old, is in grade two at Hun Sen Porthoum Primary School. His parents divorced when he was an infant and he stayed with his father after his mother left and married another man. His family is very poor and live in a very old bamboo hut with a torn roof in Tameng Village. His father is a construction worker in the village. He earns about 15,000 Riels = $3.75 per day and is responsible for feeding and raising three children. With the help of a Tameng Church member and the village leader, Rachhan was enrolled in the ACTS project at the age of 7. His teacher has noticed a significant improvement in Rachhan’s reading and writing abilities. Rachhan enjoys attending Happy Children’s Club every Thursday. Having access to various activities has greatly improved his behavior. He learns about the love of God and has a good heart for God; he particularly enjoys worship and prayer. Rachhan’s father has been joining the parenting training, and although he was the only man at the trainings, he sees the value and importance of these trainings. “My behaviour as a father and a man has changed. I have learnt to be patient with my children, and I no longer use violence towards them. I encourage my friends to do the same. I now show love and care to my children,” he said.